Roma and Heather are getting married! Yes, it's finally happening and we want to thank all of you who have made it possible! We look forward to spending our honeymoon in Italy and would like to present our honeymoon registry. Hopefully with your help we can have the honeymoon of our dreams. Ciao! The Rome Cavalieri is home to one of the greatest private art collections in the world, which boasts valuable masterpieces including a series by Andy Warhol displayed in the Penthouse Suite. This prestigious luxury hotel houses well over a thousand artistic treasures in its public space and suites, ranging from the 16th Century to the modern day, from Old Masters to contemporary art, from French antiques to rare tapestries, sculptures and ceramics. 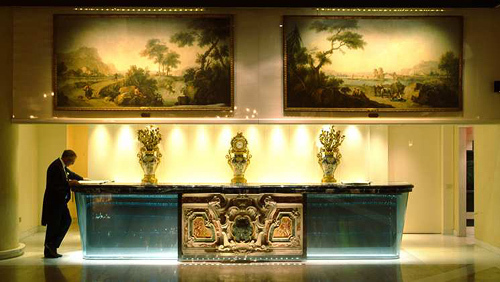 A private tour of the Rome Cavalieri Art Collection can be arranged with the art historian for an experience we will never forget. In the Rome Cavalieri hotel’s private park, overlooking the Roman skyline, instructors from Rome’s Gladiatorial School will instruct us how to master the ancient combat techniques as well as explaining the life and times of the gladiators. The gladiator kit is included with a traditional tunic, Roman sandals, belt, protective gloves, and wooden training sword, and on completion we will be presented with a medal declaring them a ‘Tiro’, or first level gladiator. Whether it’s a Ferrari, a Lamborghini, or a Maserati, we will have the chance to drive the Italian car of our dreams with a specially crafted Italian Super Car “experience day” and luxury car rental. We cannot wait to get behind the wheel for the drive of a lifetime in the home of the Italian sports car. Tennis on our romantic honeymoon at Rome Cavalieri, Waldorf Astoria Hotels & Resorts will be a wonderful wedding gift. We will test our skills on the two Red Clay Davis Cup Tennis Courts and enjoy a tennis match for two. We will discover a home away from home in this spacious apartment with a sliding glass-ceiling opening onto a private roof garden with a whirlpool spa overlooking Rome. This luxurious suite, decorated with modern and antique works of art, has a spacious living room with stunning Karl Lagerfeld giant sofas and 50- inch plasma TV. We will keep in touch with wireless Internet access or use the high-power binoculars for close-up views of Rome’s historical monuments. We will enjoy Imperial Club access and use the wine cellar with a selection of prestigious wines. We will pamper ourselves in the rare marble bathroom with a whirlpool and a view of St. Peter’s dome. Special touches include a digital leather massage chair, a working area, a guest cloakroom and a Technogym bike. We will savor the magnificent view over the Vatican and the Eternal City from the balcony of this sleek room located on the 5th and 6th floors. This bright and airy room, decorated in warm, calming tones, has one king-sized bed. We can check our emails with wireless Internet access, stretch out on the sofa or catch up on work at the large desk in the separate seating and working areas, and relax in the marble bathroom. Special touches include magazines, bathrobes and mineral water. We will be spoiled in this spacious suite decorated with exceptionally rare original empire furniture from the 19th century and original artwork. 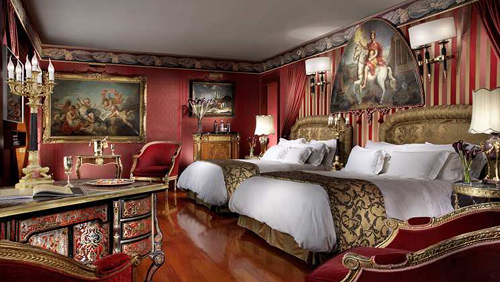 This elegant suite has three large balconies offering breathtaking views of historical Rome. We will enjoy privileged access to the Imperial Club, work in comfort at the desk or check our emails with wireless Internet access. We will take time off in the leather massage chair, stretch out on the sofa to watch in-room movies on the 42-inch plasma TV or pamper ourselves in the marble bathroom with the inset TV. Special touches include lush bathrobes, slippers and Pillow Menu. 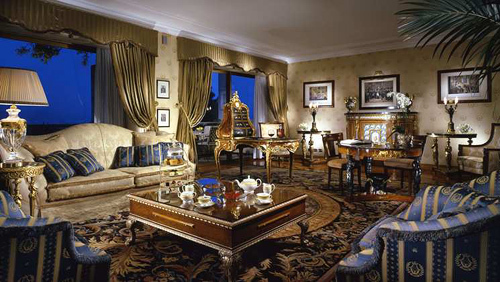 We will enjoy ourselves in this spacious top floor suite with breathtaking views of Rome. Decorated with exceptionally rare French XVIII century furniture as well as a series of precious art works, this unique suite has a large sitting room, dining room and office area. We will surf the net with wireless Internet access or unwind watching in-room movies on the home cinema system. We can enjoy a meal at the dining table or pamper ourselves in the imperial marble bathroom with a whirlpool and a separate shower. Special touches include Leica high-power telescope, two separate entrances, a dedicated direct VIP lift and Imperial Club access. With ceilings spangled with fiber-optic stars, the Planetarium Suite is the ideal romantic honeymoon retreat. This suite is a treasure chest of antique and contemporary works of art, including a Robert Indiana series. There are flat screen plasma TVs in each room and a spectacular private roof terrace with a hot tub. The bathroom is tiled in marble with sodalite inlay and comes with a shower and hydro-massage tub. The Planetarium can be extended to include an extra bedroom or a private gym. Waiters arrive with a tempting selection of finger sandwiches and scones, miniature pastries and fruit sushi, truffles, as well as canapés served on vermeil. The menu offers a selection of top grade teas, which is served beneath one of Rome Cavalieri's greatest art treasures – three magnificent Tiepolo paintings. Afternoon tea is always a moment to pause and reflect, and these beautiful paintings will help to create a truly contemplative atmosphere. Under the direction of the celebrated Chef Heinz Beck, the famous menu is accentuated with a wine list that comes from a cellar with over 60,000 world-class bottles, a water list featuring 29 choices, authentic Italian oil and balsamic vinegar from the best local producers, the finest Mediterranean-sourced produce and spectacular views across the Eternal City, with St. Peter’s Dome in full view. We will dine on innovative and exciting cuisine, sip on the finest liqueur or a vintage wine from as early as 1888 as we enjoy a smooth cigar in this luxurious area featuring a beautiful collection of orientalist paintings. Awarded 3 Stars Michelin® for 9 consecutive years and voted the ‘Best Restaurant of Rome,’ La Pergola provides a memorable dining experience of world-class standards. Situated in the heart of the sumptuous Rome Cavalieri Hotel and overlooking the beautiful landscaped gardens and glittering pool, we will sit back with a cool drink on comfortable wicker chairs and sofas while we let the soft Italian breeze drift around us as we enjoy the floral fragrance that fills the outdoor Terrace. Open for breakfast, lunch and after dinner drinks, this is the place to see and be seen, especially when there is live jazz to soothe us into the evening. After a refreshing treatment at the award-winning Grand Spa at the Rome Cavalieri Hotel, we will recharge with a delicious healthy drink and light meal, including freshly squeezed juices, fitness drinks, salads, and fresh fruit. We will sink back into the plush seating and enjoy a rejuvenating cup of herbal tea from the extensive range available and appreciate the state of tranquility that our treatment left us in. This café provides the ideal atmosphere where we can relax whenever we desire. During the summer season, we will enjoy a refreshing drink or light meal by the water’s edge at the stylish Pool Bar. Open as long as the sun shines, the Pool Bar is a fun and relaxed place to socialize or swim. On the garden side of the Rome Cavalieri Hotel, L’Uliveto restaurant overlooks the landscaped park adjacent to the outdoor pool. 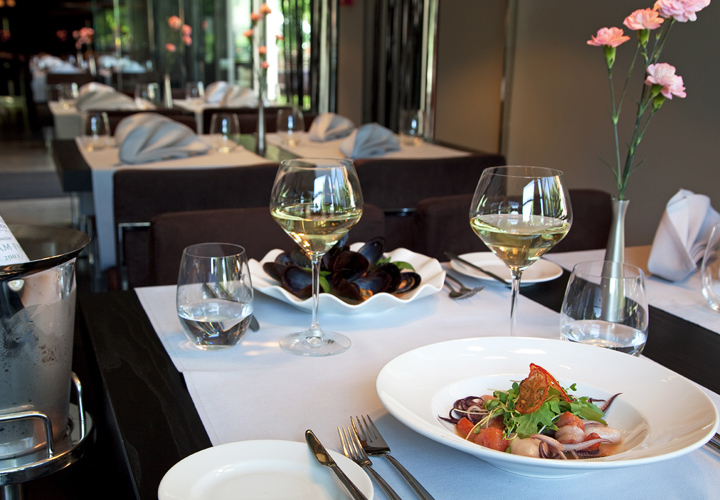 Featuring Mediterranean and international dishes, its menu leans naturally towards Italian cuisine. Informal and welcoming, L’Uliveto sets high culinary standards and regularly highlights regional speacialties, from Puglia to Piemonte. During summer, tables are laid outside on the terrace for an ‘al fresco’ dining experience. On Sundays, the grand concourse outside the L’Uliveto hosts the Rome Cavalieri’s famous Music Brunch. It is a Roman institution, where generations of families gather. Elaborate hot and col buffets offer endless choices over many courses. A Wok Corner and a refined slection of Sushi for those with a taste for oriental cuisine allow us to sample fresh personalized dishes in front of our eyes. Thanks to your wonderful wedding gift, we will relax into the ideal romantic honeymoon destination of Rome. We will admire breathtaking views of the 15 acres of private Mediterranean parkland overlooking the Eternal City, offering an idyllic destination for a truly unforgettable trip. We will enjoy a wide selection of room types, recreation, spa, and culinary amenities, designed to enliven and revitalize each visit to this one of a kind Waldorf Astoria Hotel. This resort credit will truly enhance our intimate escape surrounded by unforgettable views. Located in one of the most romantic cities in the world, Rome Cavalieri, Waldorf Astoria Hotels & Resorts promises us a romantic honeymoon getaway. With your thoughtful gift, we will enjoy countless activities including touring the many classic pieces of art throughout the hotel, take comfort in luxurious accommodations, receive a relaxing spa treatment, or we will savor Mediterranean dishes in a lavish setting or enjoy a round of drinks. 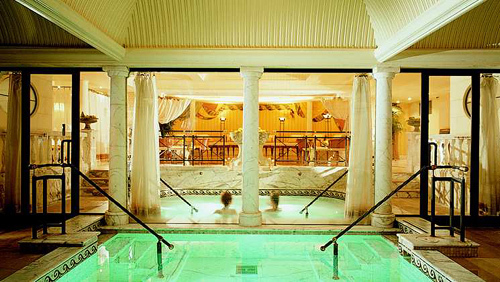 We will luxuriate in an array of pampering amenities at the beautifully designed Rome Cavalieri. A chilled bottle of champagne will be delivered to our suite. We will make a toast to our romantic honeymoon in Rome while taking in the sweeping views of this enchanting destination. A bottle of our favorite wine will be delivered to our room or suite. We will make a toast to our honeymoon while taking in the enchanted views of the open sky and surrounding vistas of Rome. We will discover romance at its best. This is a three-hour “dream” experience that suspends time. Using techniques based on a true synergy between the face and body, and drawing on principles of the Caviar firming Facial, which produces immediate results, this special program simultaneously “works” the entire body – from scalp to toes – producing a sensation of total relaxation and wellbeing. This special face program is designed to support skin’s own repair mechanism and counteract the effects of the sun and the sea, and produce a complete sense of wellbeing. This is achieved through alternating warm and cool treatments, accompanied by draining to reduce sun-induced puffiness and tantalizing “butterfly” face massage. 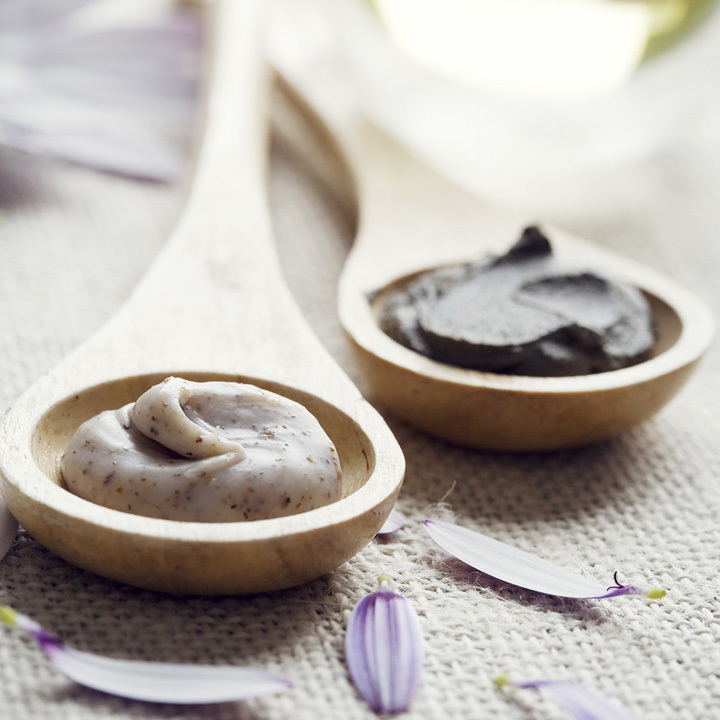 Luxurious caviar – nature’s most exquisite bounty – is the source of this exclusive nourishing and energizing total body massage. This ultimate firming treatment will leave my skin shimmering with renewed vitality, improved elasticity and an overall sense of wellbeing. This pampering body mask provides the skin with an intensive moisture boost and is a pleasure for all the senses. All areas of the skin take on a visibly improved appearance and velvety smooth texture. This unique spa treatment brings new vitality to the dermis and combats the harmful effects of over-tanning. 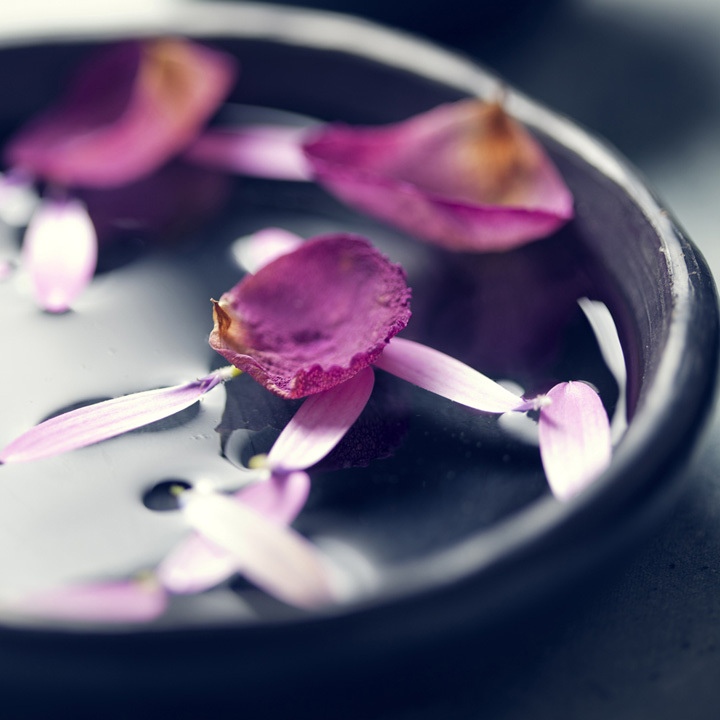 Skin will appear renewed and suppler at the conclusion of this revitalizing spa experience. With this couples massage, we will experience such a memorable moment with one another by enjoying a relaxing massage in a twin treatment room, sharing a multi-sensory experience which will leave us feeling relaxed and invigorated. 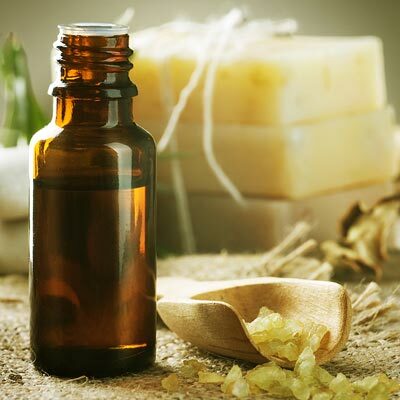 After experiencing the stresses of planning a wedding, an anti-stress treatment is the perfect remedy to relax. 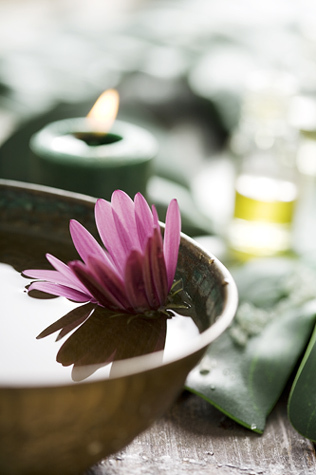 This massage de-contracts and relaxes the body and mind, giving a sensation of vitality and energy. At Rome Cavalieri, Waldorf Astoria Hotels & Resorts, we can have the romantic wedding we have always dreamed of while overlooking the spectacular panorama over the Eternal City and the lush Mediterranean park. The romantic atmosphere provides the perfect backdrop for our special day. We will exchange our vows in one of the many versatile reception rooms that can accommodate as few or as many guests as we desire. The wedding planner and experienced event staff will create the wedding of our dreams. From an intimate wedding lunch to a grand party with champagne flowing aplenty, we will enjoy ourselves like never before. We will be welcomed with an array of deluxe rooms and suites with world-class amenities to choose from following our big day. For the ultimate wedding party, the Rome Cavalieri has created the ultimate luxury wedding package. Every detail of the big day is arranged to make this the most memorable and spectacular celebration. With a price tag of one million dollars, the sky is the limit. We will fly to Rome in a private jet, and we will receive the palatial Penthouse Suite with panoramic roof terrace and monogrammed linens, as well as a horse-drawn carriage to one of Rome’s most famous churches. As a way for me to fulfill the traditional “Something Borrowed,” Rome Cavalieri has launched a program, which allows me to borrow jewelry designed by Italian Princess Lucia Odescachi and Grazia Borghese. Our guests will receive an array of the ultimate accommodations. On the big day, a fireworks display and balloon release will come from the Rome Cavalieri hotel’s rooftop. This is truly the perfect way to celebrate such an important day. We will experience complete pampering as we relax and let all the details of our day come together by the experts.